GC Sadakat Khonsu Neferhotep of Bastra, blue-eyed white. Achieved his Grand Championship Labor Day weekend, 2007. 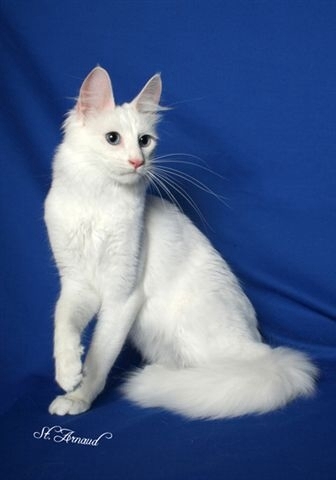 Khonsu claims the honor of being Best Turkish Angora in the Great Lakes Region, CFA, for the 2006-2007 show season. He and his brother Hapi, perfected "milk-ring hockey", each carefully manuvering the "puck" to avoid loss under couches, tv stands, and other obstacles, while advancing it from room to room. Photo copyright by Justine St. Arnaud, St. Arnaud Photography. Hapi, blue-eyed white, hearing male, achieved his Grand Premiereship in April, 2007. 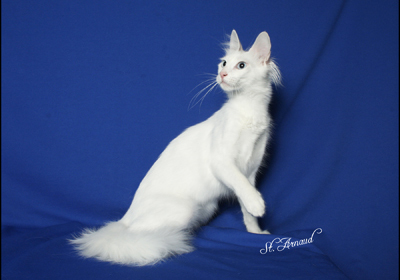 Hapi proudly claims the honor of being CFA's 8th Best Turkish Angora in Premiership for the 2006-2007 show season, awarded by the Turkish Angora Breed Council. Now retired from showing, Hapi lives the happy life of a pampered pet. His favorite activities include chasing and retrieving milk bottle rings, and coaxing the Nile to rise from the bottom of the water bowl with his paw! Photo copyright by Larry Johnson, Johnson Photography. 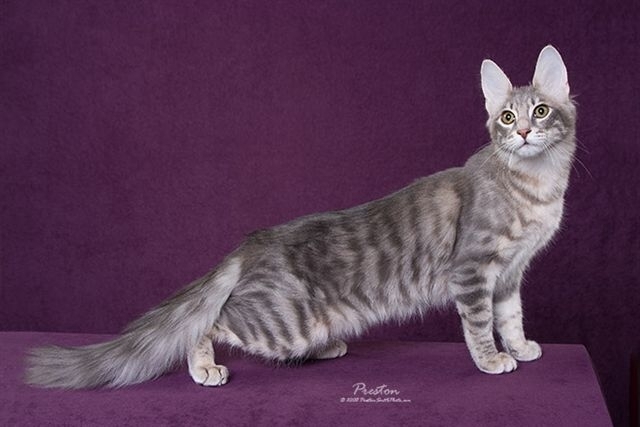 CH Antioch Virginia Bluebell of Bastra, blue-cream female. 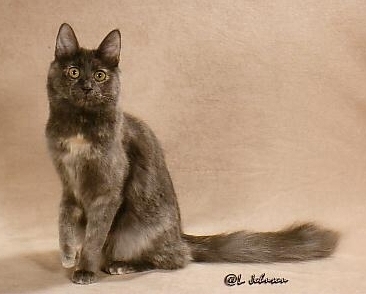 CFA Great Lakes Region 2nd Best Turkish Angora, 2006-2007 show season. Bluebell could compete in the Olympics, with her high leaps for feathers and wind chimes! CH Bastra Sen Nuit, blue mackerel tabby. 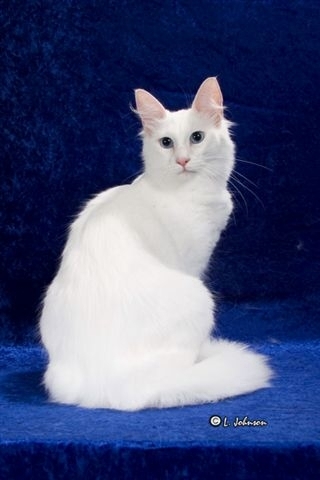 CFA 10th best Turkish Angora kitten, 2006-2007 show season. Sen Nuit has mastered the fine art of trills and chirps, taught him by his mother. He loves to touch one's face with his soft paws. His father taught him water sports; "There's a treasure chest of catnip at the bottom of that water bowl!" Copyright 2008 by Preston Smith, rights reserved. CH Bastra Montu Hotep. 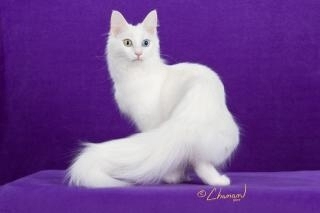 Montu was the Best Turkish Angora in the Great Lakes Region this past show season. Photo copyright by Justine Arnaud, St. Arnaud Photography. GC Bastra Misty Moonbeam. Photo copyright by Chanan, Mira Loma, CA.